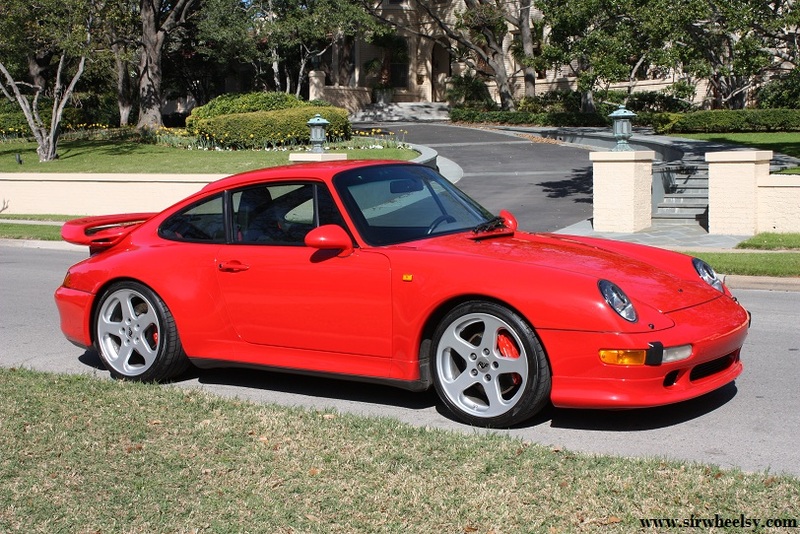 Automobile Spotlight: A Porsche 993 RUF Turbo R.
I recently met my neighbor, Patrick, when he became the owner of my 60 Series Land Cruiser. When you meet another automobile enthusiast you seem to always end up talking vehicles you’ve had or would love to buy. 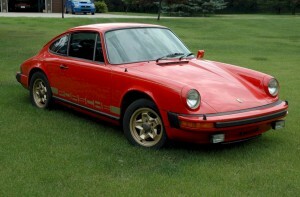 I was pretty excited to hear that Patrick is the owner of one of my favorite cars, a 1997 Porsche 911 Turbo. 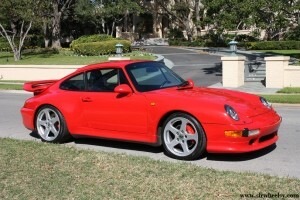 I’m not talking about any run-of-the mill Porsche 911 Turbo either, but one that has been converted to a RUF. First, some back story on the original car. 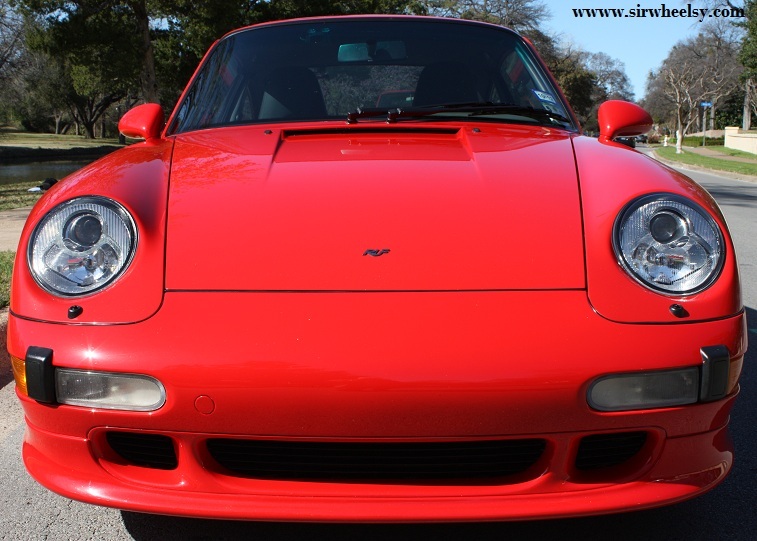 The 993 is the Porsche internal designation for the model of 911′s available between 1995 and 1998. 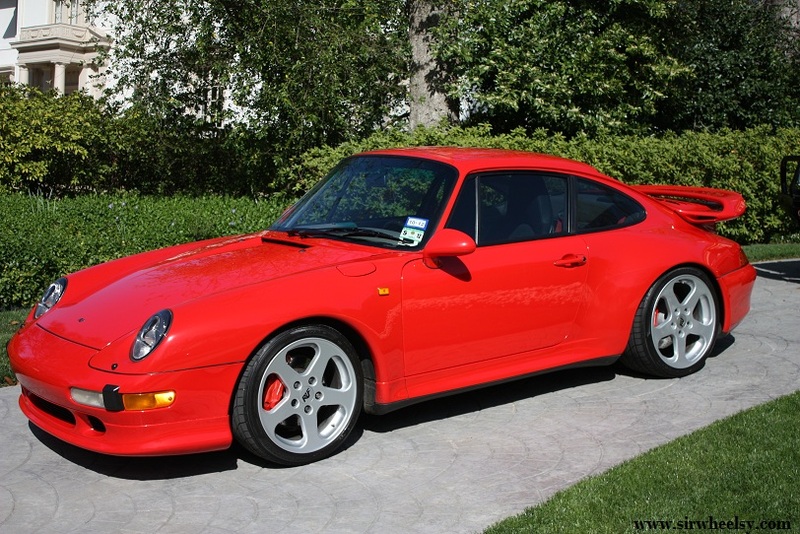 Porschephiles and the purists have referred to the 993 as the last “true” Porsche. 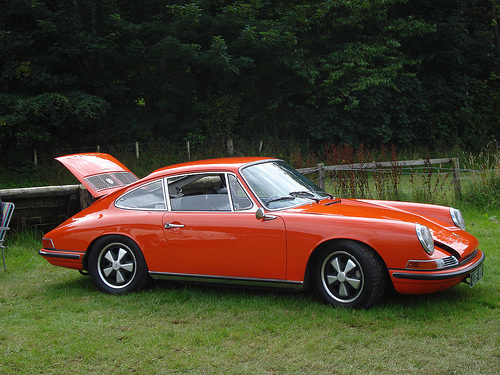 It is the last one with that Flat Six air-cooled motor and the styling cues that go all the way back to the 1963 originals. If you compare the roofline, windshield, and overall shape of the car, you’ll see not too much has changed from the ’68 to ’74 to ’97 models. 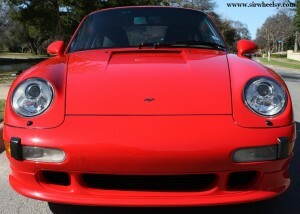 As earlier mentioned, this car isn’t just a 993 either; it’s a RUF. The rear Whale Tail spoiler is pure Porsche. 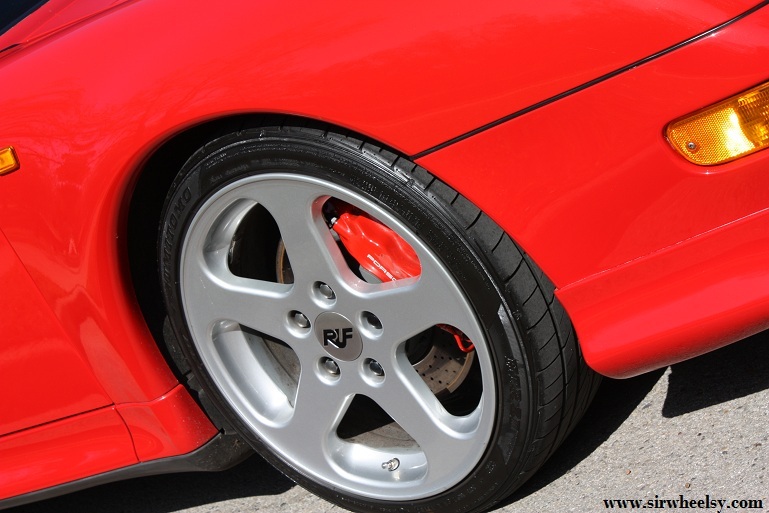 RUF Automobile GmbH is recognized as a Automobile Manufacturer in Germany because they install many of their own engineered parts into unmarked Porsche chassis. The company was founded in 1939 and is headquartered in Pfaffenhausen, Germany. There is a RUF Centre in Dallas too.They are the truly the ultimate for extreme porformance Porsche-based automobiles. The badges and RUF wheels are the only exterior modifications. Here is a RUF Yellowbird for sale and here is some information on the 2012 RUF Rt 35th Anniversay just unveiled at the Geneva Motor Show. This car has a well-documented history as well. The first owner picked up the US-spec Guards Red 911 in Germany through the European Delivery Program. 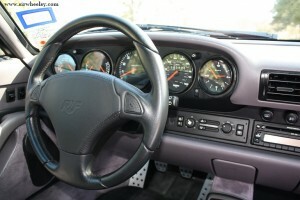 In 2001 it was sent back to the German RUF Centre for the conversion to a RUF Turbo R. This very detailed process included new turbos, camshafts, exhaust system, remapped computer system, and some “RUF secrets” to increase the horsepower from 408hbp to 490bhp. 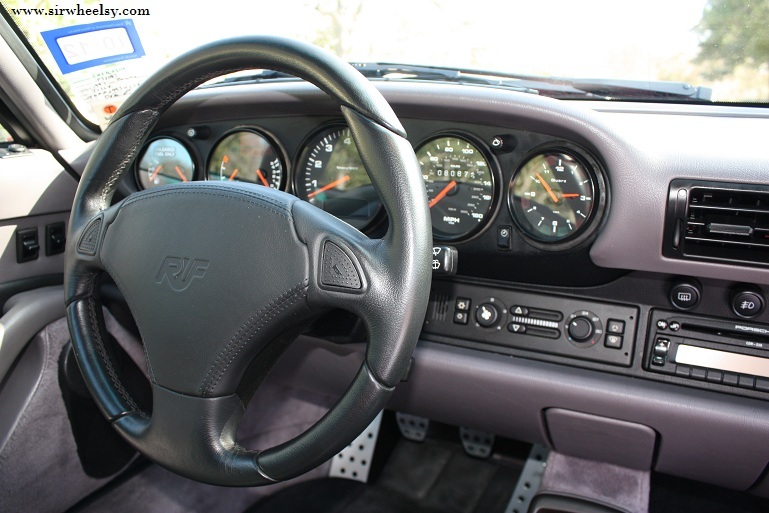 A very practical yet elegant interior includes a RUF steering wheel. 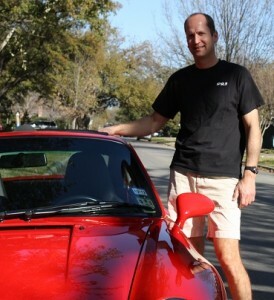 Patrick purchased the car in 2008 and saved it from from a boring life of just sitting in a garage. If you are ever in the twisties and switchbacks in Northwest Arkansas or driving through the mountains of Colorado and get passed by a red streak of lightning, it might be Patrick and the 993 RUF. Here is a link to the Autoweek Video of the car in action on the Great Texas Beer Run. This entry was posted in Uncategorized and tagged 911, 930, 964, 993, Porsche, RUF, RUF Centre, Super Car, Turbo by GranT urismo. Bookmark the permalink. 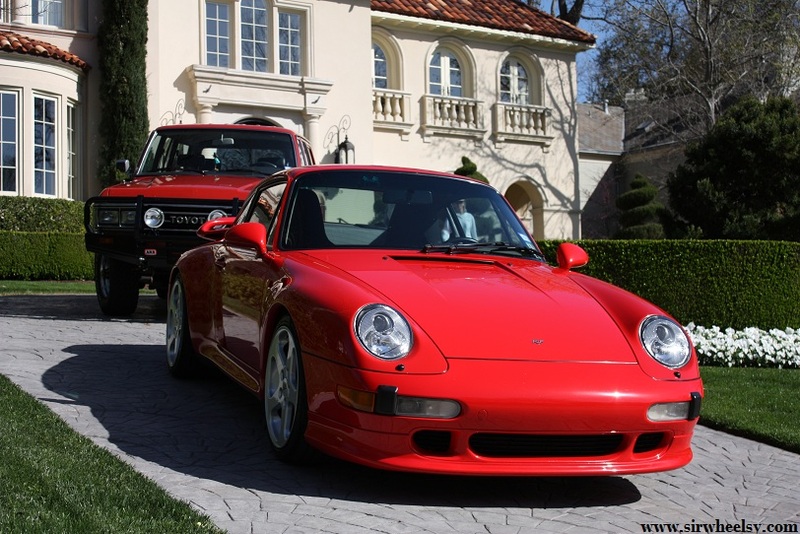 Rare to come across any RUF in the U.S. and especially nice to see this one is truly being used and enjoyed. 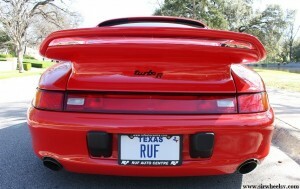 Check out Ruf Auto Center…conveniently located here in DFW. 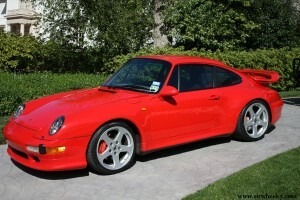 I’m currently looking at acquiring a 964 Carrera 2 Cabrio, or a 993 Cabrio. Check out Victory Motorcars in Houston if you haven’t already.